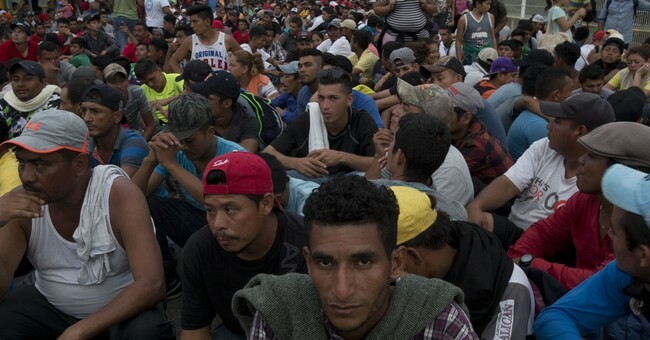 The Department of Homeland Security has confirmed there are in fact criminals and dangerous gang members traveling inside the illegal caravan headed to north to the U.S. southern border. In addition, they are confirming President Trump's claims "middle easterners" and citizens of countries outside of North and South America, are also in the caravan. During an interview with Fox News Tuesday, a Honduran man traveling with the caravan confirmed criminals are involved. "Criminals is everywhere. Okay. There's criminals in here. I mean, there is. It's just not that many," Nixon Hernandez said. "It's good people trying to get through Mexico and get to the United States. That doesn't mean everybody's a criminal." White House Press Secretary Sarah Sanders slammed Democrats over the issue and again called for their cooperation to end the crisis.